Did the PIC break the rules? Cape Town – Minister of Finance Nhlanhla Nene has not rejected amendments to the Public Investment Corporation Act that would ensure more transparency for the investments it makes with public servants' life savings, National Treasury told Parliament. The PIC and National Treasury told Parliament that Nene has seen the amendments but has not yet expressed a view on its compulsory disclosure clause. Parliament’s standing committee on finance had a standoff between party lines on Tuesday over amendments to the act. The Democratic Alliance views compulsory disclosure of the PIC’s listed and unlisted investments as non-negotiable, but the African National Congress fears this may affect its developmental mandate. DA MP David Maynier proposed compulsory disclosure of all investments to the office of the finance minister for ultimate parliamentary oversight. 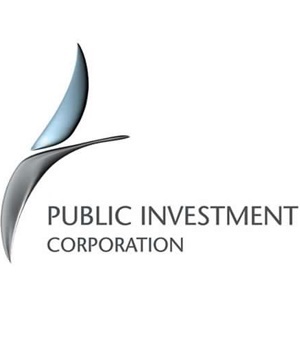 On Tuesday Business Day reported that the leadership of the PIC and the Government Employees Pension Fund (GEPF) oppose the amendments, particularly those pertaining to the disclosure of all PIC investments. Other reports also claimed National Treasury rejected the disclosure clause. The committee meeting also comes amid fears that PIC funds are being used to prop up the value of Sagarmatha ahead of its listing on the JSE. The PIC has not invested in Sagarmatha but was said to be interested ahead of the company’s bid to list earlier this month. Addressing the need for disclosure, GEPF principal executive officer Abel Sithole told the committee that much of the information on how the GEPF is governed and how it invests is already in the public domain. Answering Maynier’s questions on whether Nene has seen the draft amendments, Treasury’s chief of legal Empie van Schoor said the minister has been notified of them. “The document we have given to the committee was given to the minister and he gave us the authorisation to submit it. We did not discuss it in detail, but we spoke about directorship and composition. He did not specifically approve the clause of compulsory disclosure,” said van Schoor. Committee member for the African National Congress Thandi Tobias she is wary of Parliament preoccupying itself with the business of asset managers, when the ANC is looking to see the PIC’s investments yield a significant socioeconomic impact. “We should be careful of venturing into discussions that will materially affect the bills that are to be addressed. It’s not whether investment is accomplished. What is the impact of the investment of these rands and cents?” she challenged. Economic Freedom Fighters MP Floyd Shivambu said the meeting failed to achieve its objectives because of the “incompetence” of the ANC caucus. He recommended that another meeting be held to finalise the work on the bills in time for the National Assembly to receive them in August.